If you are still reading this, than that means you are a much better friend or relative than I am to you. After short flight to KL and a brief layover in the city, I almost immediately boarded my forth plane of the week to reach the international city of Kota Kininbalu in Sabah, Malaysia. Borneo and the Malaysian states within it are much further away than I originally thought and while in flight to reach the second largest island in the world it took nearly four hours—not much shorter than it took for me to get to Nepal. On arriving in the city I was planning on meeting another ETA that was previously traveling around Bali, Indonesia and then doing some serious trekking and nature-seeing for the about 10 days. 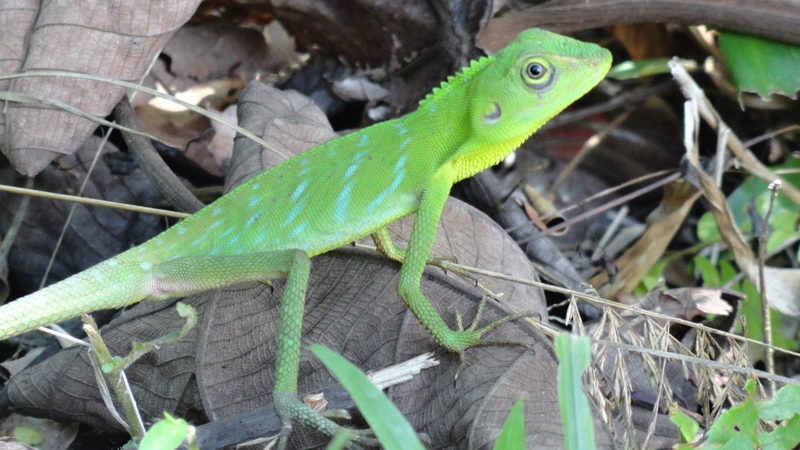 I was able to find him immediately as he was extremely tall and white compared to everyone else on the island, which eased some worries right off the bat, and the next day we set out for some rare high mountain hiking in tropics. 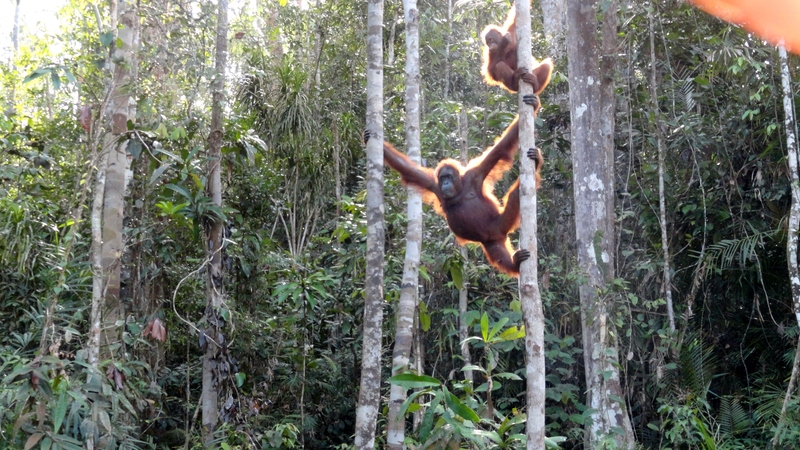 As I had said before, I had been drawn to Borneo and its natural environment for a very, very long time. I had gone once before during the last week of June but it was just enough to entice me to return and spend some real time there before I left this region of the world. Borneo was after all a major pushing factor in making me decide to apply for Fulbright Malaysia. Its weather, topographical inimitability and vast diversity of plant life make it the most bio-diverse place on the planet. Beauty can be found here in forms unlike any other place in the world. I had to go back. Immediately, I was glad that I did return. The city of Kota Kininbalu (or KK) is in the running for my favorite in Malaysia. It’s a modern and relatively clean city that was entirely rebuilt after the Japanese destroyed the vast majority in the 1940’s. It had some of the best western food specialty restaurants that I have had since being in Southeast Asia (very welcome) and easily the most spectacular fish markets I have ever seen—filled with every type and color of tropical fish you could imagine. The tables in the market were whirled in colors only found in the tropical sea. The real reason that we had traveled to this city though was to see and hike the highest peak in South East Asia—Mount Kininbalu. Kininbalu is a monstrous peak that reaches over 4,000 meters, not quite what I was climbing in Nepal, but the world’s tallest equatorial peak. 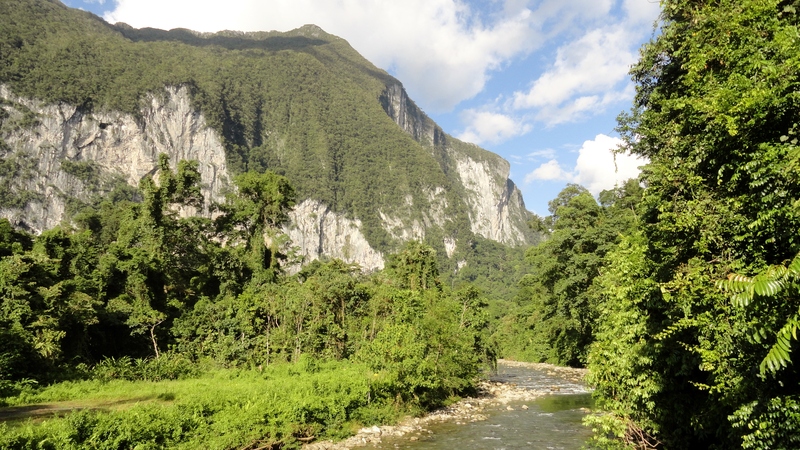 This of course meant that within the shadow of the mountain there was an atmosphere and ecosystem that was extremely diverse and dynamic, which allowed it to be a World Heritage site. The ride out to the Mountain was not far, but took about 2 hours (mountain roads have that effect on transportation I suppose). As soon as we got there we knew that we would not be able to summit the mountain. Some previous research had told us that even though it could be summited in a day we would have had to hike for about 16 hours, pay a major fee to enter the peak area and pay an unnecessary guide about 1,000 RM to take us up. We opted to due a major day trek just about three quarters of the way up the mountain. The terrain was beautiful as it was lush. It rained lightly on us but that could not have dampened our spirits any. We talked about our home towns as we made our way up and down the rolling trail, stopping only to traverse rivers or look at curious plant or marvel at the din of birds. It was an uninhabited trail, where we heard or saw nothing of people and were subject only to the natural relm that the forest had developed over the millennia. Seemingly, land lost in time. We walked our way back to the park headquarters, and far more tired than we figured, we then realized that we now had the task of getting back to the city, or fear spending the night on the mountain. This brought me to do something I had never done before: hitchhike. There was a number of vans and buses that ran out to the park, but after five o’clock there were none heading back to the city; a problem we didn’t foresee. We were confident we would be able to find a ride back however, if, that is, we were willing deal out some money. We sat on the curb near the park’s gate for only about an hour as we tried to flag down suitable transport to town. First a bus, then a number of fully loaded vans, than again a number of flatbed trucks weighted down with roughly 12 children each: none stopped, though we did receive some excitingly vigorous waves in return. Finally, and old rusted out van with a very gentle drive rolled up and stopped next to us. A Rosary hung from the review mirror and the man looked to be nearly sixty years old. We paid him a modest amount and we followed the setting of the sun back to our beds; nothing was going to be a horror story that day. The next morning we made our way to the airport. It was my intention for the trip to go as deep, and travel as far into the unmanned areas of the world as I could. Our destination was Mulu. At the heart of the Bornean island and sunken heavy, far away from the eyes of the world and the hand of man was a small enclave of human life that inhabited a place in which Headhunters tails are heralded and rivers replace roads. It was a place that until very recently could not be found on a map and until the mid-century was not treaded without terror of running across more ancient men that did not think kindly of new faces. 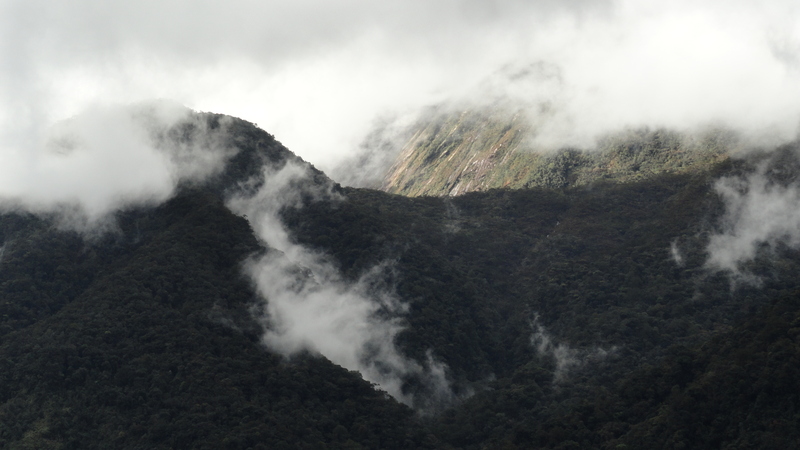 Passing over such a place would reveal boundless miles of steaming jungle and immeasurable lengths of wriggling rivers stained dark with soil being carried from the earth’s bosom. 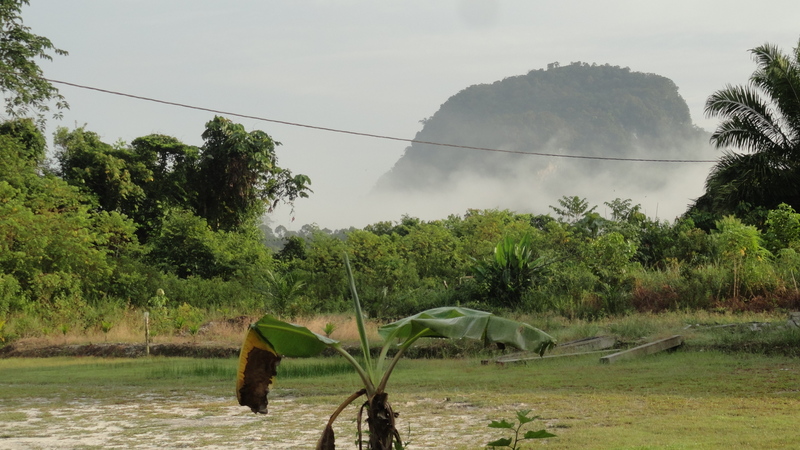 Jurassic hills shrouded in mist. Yawning mouths opening to unfathomable caves; depths that lead to places beyond strange. This was our destination. This was where we wanted to go. We arrived in the town of Miri, a smaller coastal town but quickly developing. 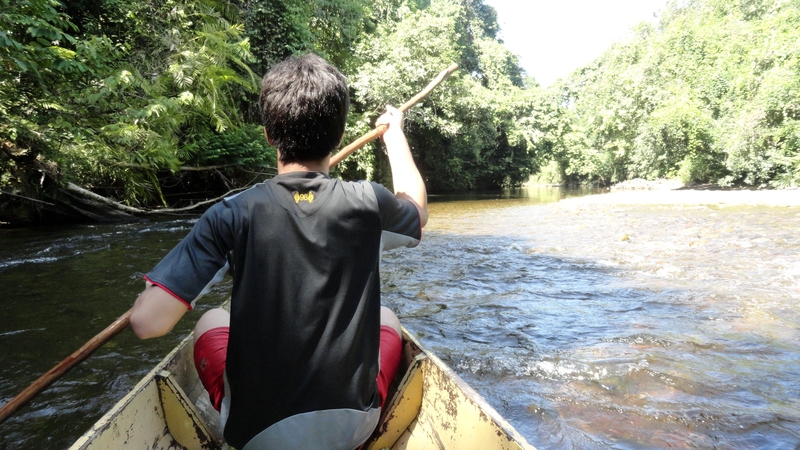 It was the idea to arrive in Miri and take a 13 hour boat ride up the river to the interior of Mulu. This was really the only way to reach the area until 2009. No roads can reach there, but a small airport has been built to fly curious travelers to a place not often seen. We wanted the water road however. Though it would have been difficult it would have been an experience worth the trip. Early the next morning we were told that we could head to the river delta and hire a boatman to take us up through a series of small villages where we would get on another longboat that would take us up the narrow river to what is now Mulu National Park, a UNESCO World Heritage site. An early morning cab ride to the Jetty ended in disappointment. We were told that the water on the river was uncommonly low for this time of year and it was unclear whether we would be able to successfully hire a boatman to take us up the narrowest part of the river. We decided to ask around any way. But after a short ride up the river to the village where we were looking to find a boat-for-hire it became clear that on this day of the week, it was Monday, and under these water conditions we would not be able to float our way to the heart of the island; we would have to fly. Just hours later we were on a plane. A frantic, but understandable course of events had taken place as our romantic visions of floating up the river into the heart of darkness dissipated, and we had to become more practical, and even more frivolous, to reach our destination. A quick call and a few hundred Ringgett landed us on a plane that morning as we joined a few fat-cats with they’re new untested gear and shimmering smart-phones. Not as romantic as I had hoped. The flight in was spectacular though, don’t get me wrong—full of every hue of green God could conceive along with about 20% of all the biodiversity on earth and immense rivers could be seen from my tiny window—not roads though. Even upon just exiting the plane the site was overwhelming; one felt as they were in a hole surrounded some many unknown and unseen things that it made any person seem small. 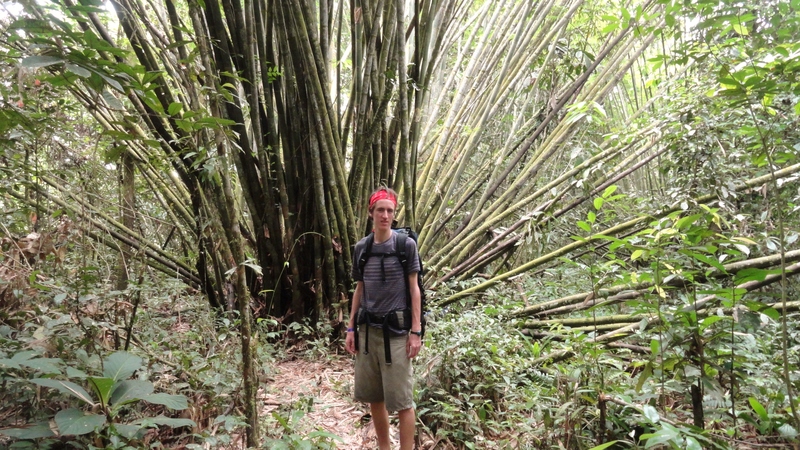 If you want to feel insignificant, go for a walk in the jungle. We wanted to walk immediately, so we did. 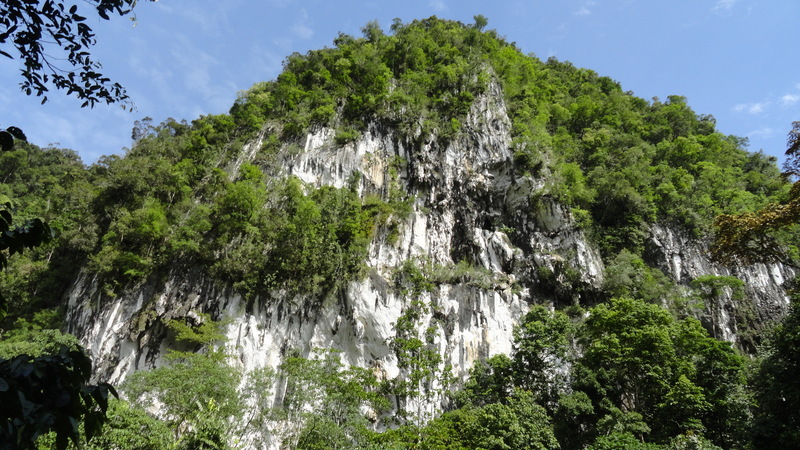 We walked to our homestay where we would park our bodies for a few hours, but first we booked a guide immediately to go see the most famous and infamous parts of the park: Gunung Mulu, Deer Cave. 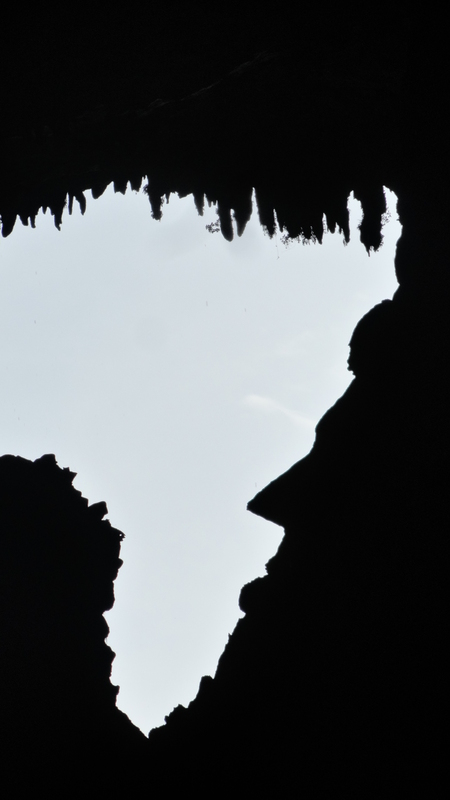 A yawning, toothed gapping mouth, Deer Cave is in fact the largest cavern in the world. It’s massively cavernous mouth is 174 meters wide, 123 meters high and stays roughly those dimensions for 4.6 Kilometers. If you wanted to build two replica Statue of Liberty’s on top of each other, you would still have ample space to fly a Boeing 747 onto its tongue and STILL have ample space for another to land right beside it. It is a strange place, lonely on the planet earth with no other comparable brothers or sisters, but it is not lonely in other friends. 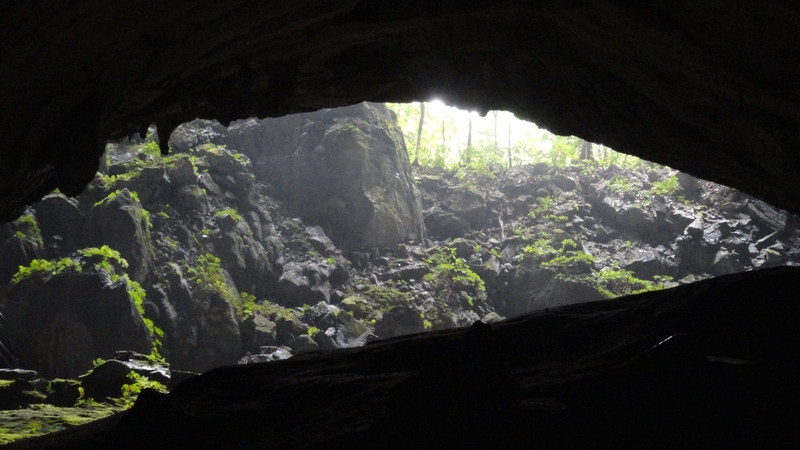 Deer cave is home to over 4 million bats and countless other creatures that feed off of the ceaseless supply of guano in the depths of the cave; even a river runs through it. We entered the cave with a guide, one of the senior masters of the cave that led the film crew of the TV series “Planet Earth” in 2004. I had seen the episode on Mulu and must admit that it was one of the driving factors in my coming to Malaysia. 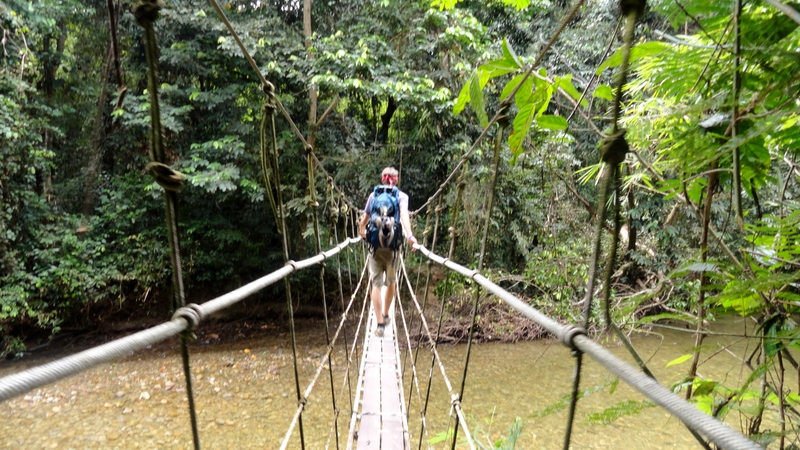 We peeled our way through the jungle to take in the enormous portal to the earth’s bowels. Just approaching the immense mouth it seemed to breath, and like all breath, its breeze was distinct with a sharp odor (a smell I won’t forget! ), but contrary to most breath, its passing air was much colder then the standing air around us. It made for an unworldly entry. In fact, walking in the cave seemed down-right lunar. What would it be like to walk on another planet? 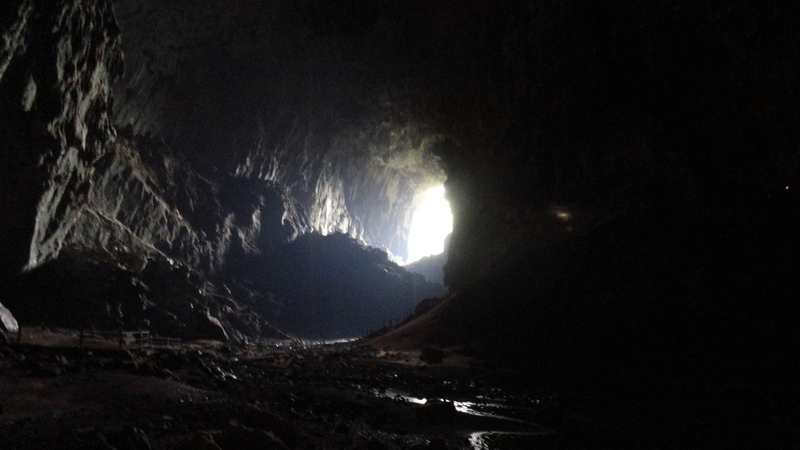 I would assume it would feel as strange to the physical senses as walking into Deer Cave. Nothing looked like it belonged on earth, nor did anything sound our smell like things of the earth. Vision was distorted being in such a large underground place. And the sound? The sound went everywhere, and seemingly, nowhere. You were deafened by the din of millions upon (literally upon) millions of bats. You want to immediately leave, or immediately venture deeper at every moment—mind and body are equally confused. And then you see it: The mountainous body of guano. At this site your mind and body begin to work in concert again. So perfectly horrible is Deer Cave’s “Mount Guano” that suddenly everything in your being says, “You should probably leave and never come back”. 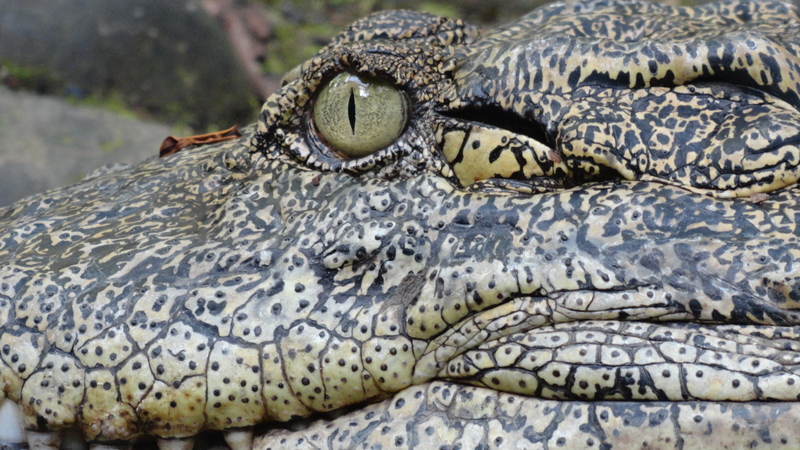 Not only is it an ancient pile of poop literally dozens of meters high, but it is a pile of poop inhabited by and being eaten by the most diabolical things on earth. A swift swipe of our guide’s staff to the mound uncovered an untellable number of squirming worms, cockroaches, millipedes, centipedes and everything else I would NEVER want to see again. It is what nightmares are made of. 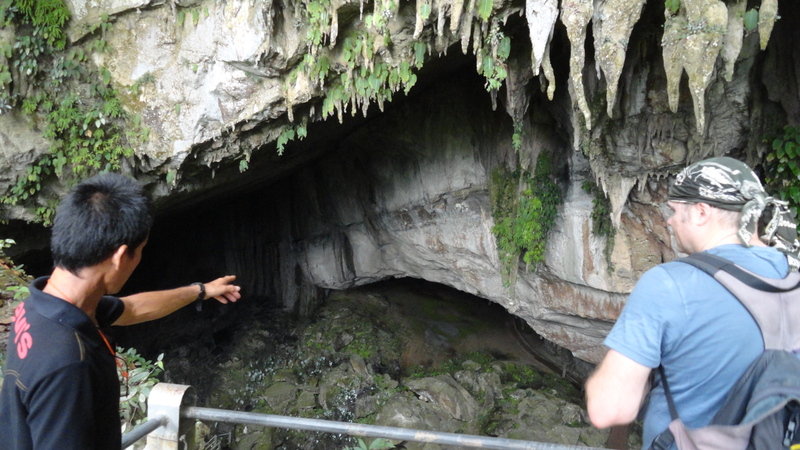 But after exploring some of the depths and discussing with our guide the history of the cave it was time to make our exit and in turn watch exit of another strange mass. Every night as dusk fell and the sky begins its passage into the nocturnal heavens all the inhabitants, some 4 million bats, make a mass exodus from the cave. In order to meet their daily feeding needs they must leave the safe refuge of the cave and venture into the jungle to fest upon the insects of the forest. Doing so every night is dangerous though, as there are many awaiting them outside the cave for their dinner as well. We waited just outside, cameras at the ready, but so did squadrons of night hawks, owls and other birds of prey. 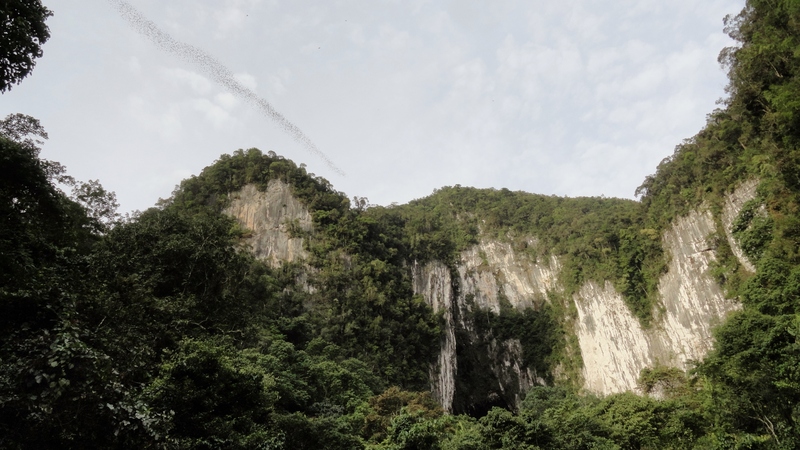 In order to counter this, the entire contents of the cave, some 4 million bats, would exit in the span of just 1 hour. Working together it was easy to see why fish form schools, beasts of the field form herds, and birds flock. 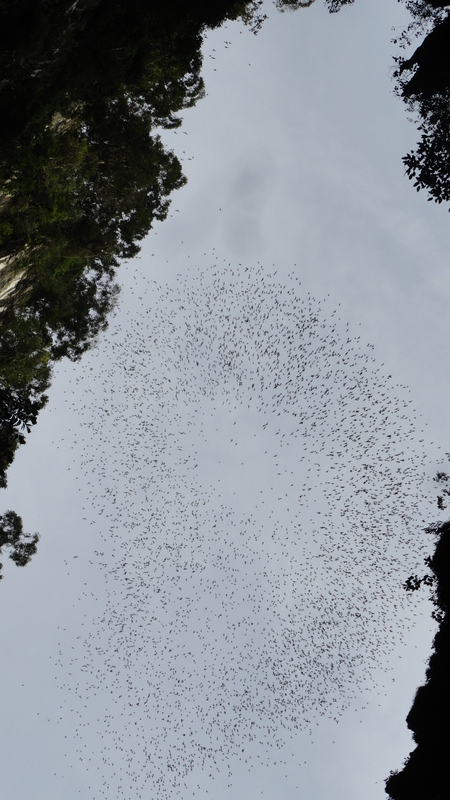 Together, each group of about 10,000 bats would form a mass the resembled one flying creature. A massive twisting globule that wriggled like a snake as they escaped the cave AND the clutches of any would-be predators that I saw. It was yet another example of communal survival. The night was beautiful, and so was the night’s sleep at the home-stay, even though I spent most of it sleeping with a bunch of cats on my bed. The following morning was our morning to really go into the park and get away from all other people and see what wild things lay beyond the water’s edge. After a long morning of running around and finagling for prices, team-members and supplies we hired a boatman to take us up the river and serve as our guide on a three day hike they called the Panicles trek. We happened across an Australian couple that morning who were signed up for a lone trip up the river to complete the three day journey. We didn’t have enough money to shell-out for our own guide and boat for the trip, but if we were able to split it with some other people we would have a much more manageable time. The result was a haphazard group of two Aussies, one Polish Doctor, two Fulbright ETAs and our local Iban guide with his son. At 8:00 AM we all got in a boat and headed down the river on the first leg of the Panicles adventure. It was clear immediately that we were exiting any form of civilization for a while. We past a couple of Iban settlements on our way; people bathing and fishing in the river, living life very much the same as they always had. The boat ride was every bit as serene, every bit as beautiful and every bit as romantic as I had hoped. Caught in canons of lime stone and sheer walls of foliage the river was a natural highway for all living things including us. As I mention before however, the water was low and every 20 minutes or so we would have to unload the boat and push it atop the gravel stones in order to continue our way. The way to the trail head was special to me but not particularly easy. Nevertheless, we made our way, helped by the strong backs of our guides and some absurd and quite obscene jokes by the good Polish Doctor. Before the brunt of the day’s hike began we were led to some different Caves in the area. Most notably, we visited ClearWater and Wind Cave. The former is the second largest cave system in the world with over 150 Km of tunnels, and the latter held some of the most dazzling cave formations that I have ever seen including halactites, oozing crystalline bubbles of age-old rock and salt deposits and fabulously preserved pillars of earth that seemingly held up the floor of the world. Beauty under the earths surface is almost too peculiar to behold, and it’s not quite the same as a mountain or flower above the earth’s crust, but subterranean beauty is a work all its own and is just as spectacular. After taking in the caves it was time for our hike, and I have to say despite the rain that fell on us, it was one of the most enjoyable hikes I’ve ever taken. We separated so it was just the two of us walking. We didn’t stop to talk all that much except when we heard an interesting bird, a frog or a monkey. We were surrounded by life the entirety of our day long hike but saw relatively little of the wild life. We could hear things always, and we knew without doubt that the many eyes of the forest were watching us, but so attuned to their surrounding were they, and so unattuned were we that we hardly ever saw things even move. It was just a simple reminder how far from the forest men have wondered. What we did see plenty of were insects—Insects of every kind shape and color. Never were we bothered by them surprisingly, things like mosquitoes, leaches and spiders were present but never harassing us. I surprisingly think I can say that I made it through an entire trip to Borneo without a single leach, spider, or mosquito bite—something that would contradict preconceived notions for sure. We passed under flowers and fruits and howling birds for hours until we finally reached our resting point for the night. It was a simple place called camp 5 and it consisted of long house, each room having about 10 barracks style bunks. It reminded me of an old military camp one would see in a movie, but around it was a beautiful babbling river—fresh and clear with many fish—and a magnificent rock face the contrasted a strange yellowish color against the emerald green swallowing it from the edges. If I had not stayed in some really spectacular campsites before in the previous year, I would have to say that it would be my favorite site that I have ever slept at. “It was a paradise” I said to myself as I cooled off in the quiet stream. 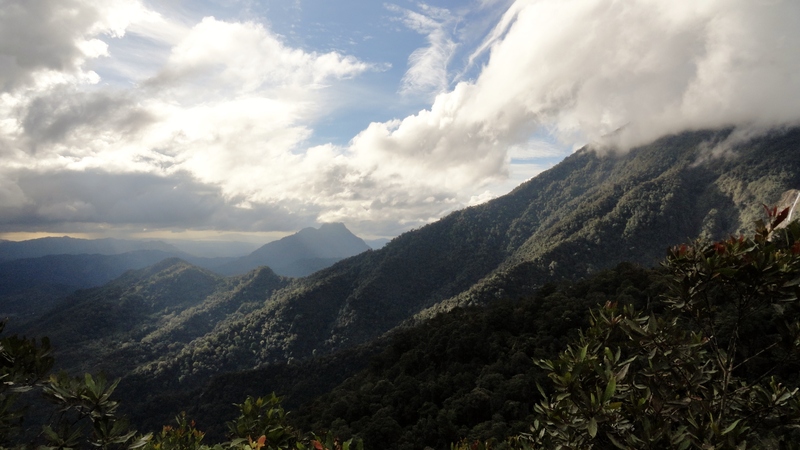 We had the place almost entirely to ourselves until the unthinkable happened: We were joined that night in our bunks by a group of ornithology students studying the rare birds of Borneo. They were led by a world renowned ornithologist that had practically written the book on the birds. From what University did the students come from? None other than THE Michigan State University! I was overwhelmed by the probability of it, and perhaps even a little sickened by fact that I was not as unique as a I thought I was. There was even a student from Grand Rapids among the group and to my own bewilderment a student from East Grand Rapids as well. I almost threw up. Shocked. Here I was, in a place that was literally off the grid (rescue missions to Mulu often don’t even use GPS because the coordinates aren’t detailed enough to help anyone)and in an attempt to get as far away from everything I had grown up knowing, I was now talking about high school teachers I had with someone that had grown up just 4 minutes from my house. It was almost unfair. After the most unexpected walk down memory lane I will ever have, we all fell asleep open to the stars and the night air. The next morning it was time for our Pinnacles assent. In Nepal I had done some steep climbs but nothing as intense as the one day trek to the eerie pinnacle forest preached high above the rest of the park. It would be a full day of walking but almost 70 percent of the day’s time would be spend climbing straight up the side of a mountain to overcome the pass to view the pinnacles from above. 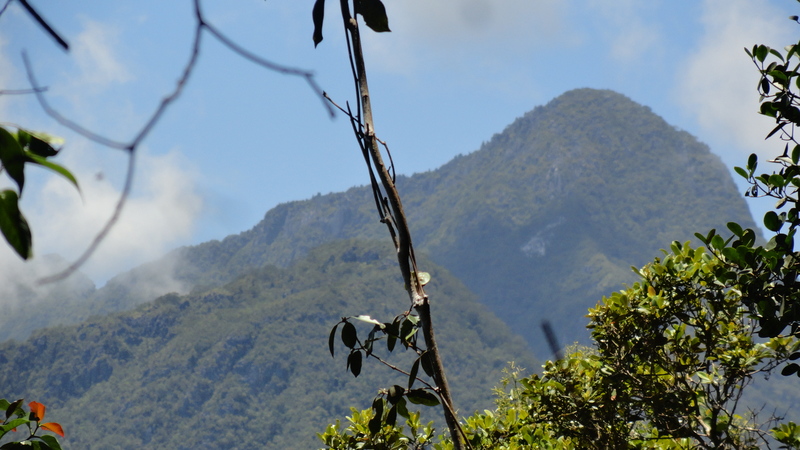 We would be climbing up almost 2,000 meters in just 6 hours. We were ready for it as we are both young and in good physical shape, but the task was difficult. The first couple of hours were mainly foot climbing, nothing too technical. 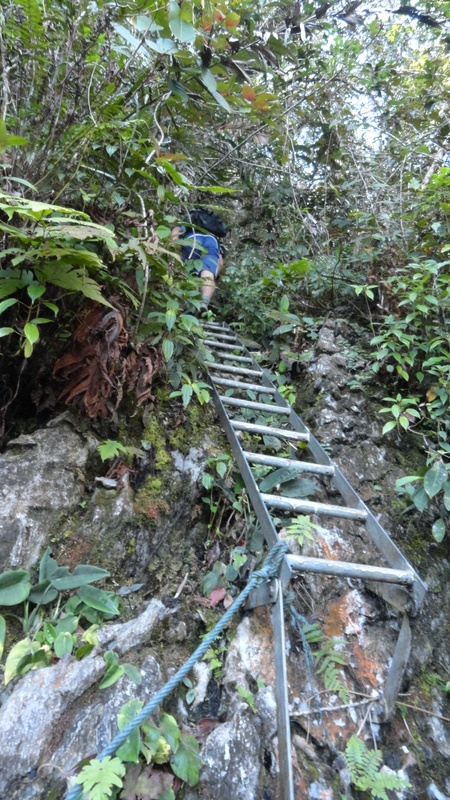 But the rest of the trek, the final 1/3 day, was far more technical and had designed climbs over sharp limestone using a series of ropes and ladders. The first part was long and pretty exhausting, but the final 800 meters or so were nerve racking and equally trying, but that was totally forgotten as the climb became exponentially more fun with the added toys to climb with. 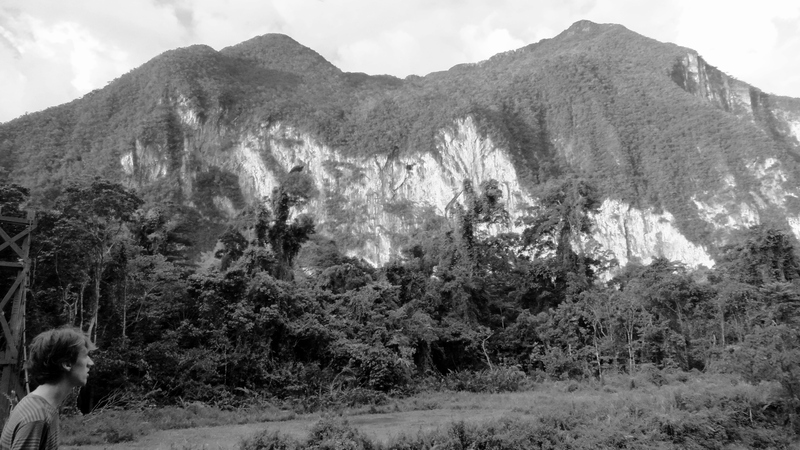 With the passage of some time, a few disgruntled off-hand comments and curses from the Good Doctor, and A LOT of sweat we traversed the rocks and emerged our eyes onto an interesting outcrop of limestone rocks that had been eaten away over the past millennia by the almost daily rain. An amazing site, one that not even my ornithologist friends could see. I was as far away from home in every way, and from that point one might turn and see two countries, Malaysia and Brunei, but from there there are no boundaries as you or I would understand boundaries, if you were to look all you would see would be a ceaseless sea of green, a rippling ocean of living things. The decent was slow, but just as fun and actually just as exhausting too. At the bottom of the climb it was time to wash off what sweat and blood was put into the day and take a bath in the river. Followed by a meal of Maggie Noodles and peanuts, the evening was that of perfect contentment—the feeling of accomplishment is perhaps the entry to sublime relaxation. I watched the sunset play against the rocks and the sparkling stream as I prepared for the trip back the next day. I slept well that night. He following day was not sad, but nearly triumphant. I had truly done something that I had wanted to do for many years and completed a major checkmark on my list of things to do in Malaysia. The day would consist of a long hike back yet again, and a labored boat ride to the park headquarters where we had begun. Again, we listened to the songs of birds and the call of monkeys as we wove through those green trails named for the Headhunters of years gone by. We took it all in as best we could, but no matter how long you spend in natural sublimity, you could never take it all in—the more you understand the details of life the more overwhelmed you become. 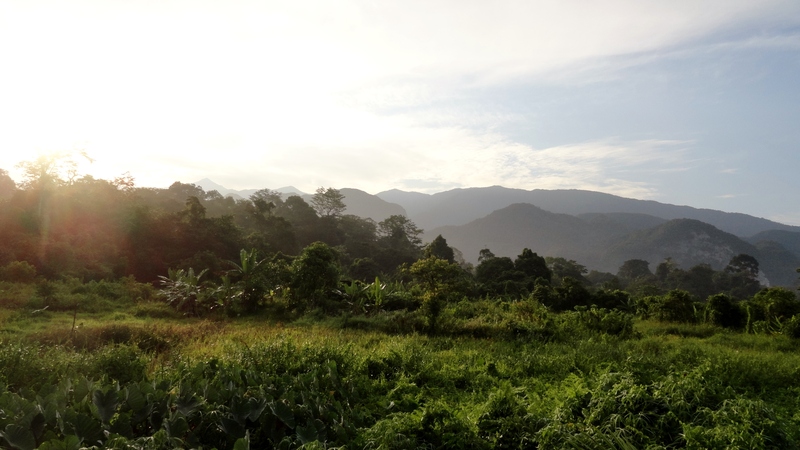 We finished our trip to Mulu, and said our silent goodbyes to a place that we knew we would probably not return. We had learned so much from that expanse of land: much about beauty, natural history, even our place on this planet—meaning that, the fact that we have a place on this planet at all is remarkable enough for me. In places like Malaysia, or for the greater sense, Southeast Asia, it can be hard to forget life’s profusion. But just like most things, I suppose you might get lulled to sleep by the commonplace things you see every day, or witness just often enough so that you are no longer astonished by them. Earth is a haven of the highest improbability. I reject the notion that our earth, or nature in general, is hostile towards life, or unfriendly towards humans. The counter argument can literally be found everywhere. There is hardly a square mile of land or water that is not inhabited by something organic, and this could certainly not be said of 99.9 percent of the space in the universe. Nearly every inch, every centimeter of our planet provides something to the micro and macro creatures which inhabit it, it pours forth sustenance like a tap you could never shut off and consequently, I have just noticed that we benefit from it. Trying to sum up a trip like this one is impossible. As I flew from Mulu I realized it was my 8th flight in a span of 15 days! It was a journey of the mind as much as it was the body though, and I am still trying to grapple with what I took away from those travels and what I will continue to learn from those experiences in the years to come. The blessings have been undeserved. That I have been given the ability to witness the supreme love, love poured forth to sustain us, but not us alone, for through the sustenance of some things comes the sustenance of all things. The realization is enough to root me deep in the soil of faith, faith through the sight of such a system, one which day after day, year after year pours forth life, gives it the ability to develop, and night after night reveals knowledge of it all to those who seek it. I am, we are, far more than fortunate, far beyond the recipients of the probable for the things we have we have done nothing to receive. Life, community, mutualism, happiness, human love; they simply shouldn’t be possible. But, we are the products of the impossible. We are blessed. Posted on October 16, 2013, in Uncategorized. Bookmark the permalink. 1 Comment. What a magnific journey, Michael. Your storytelling is delightful. Mrs. R.